No more hanging flashlight or camera from your wrist! 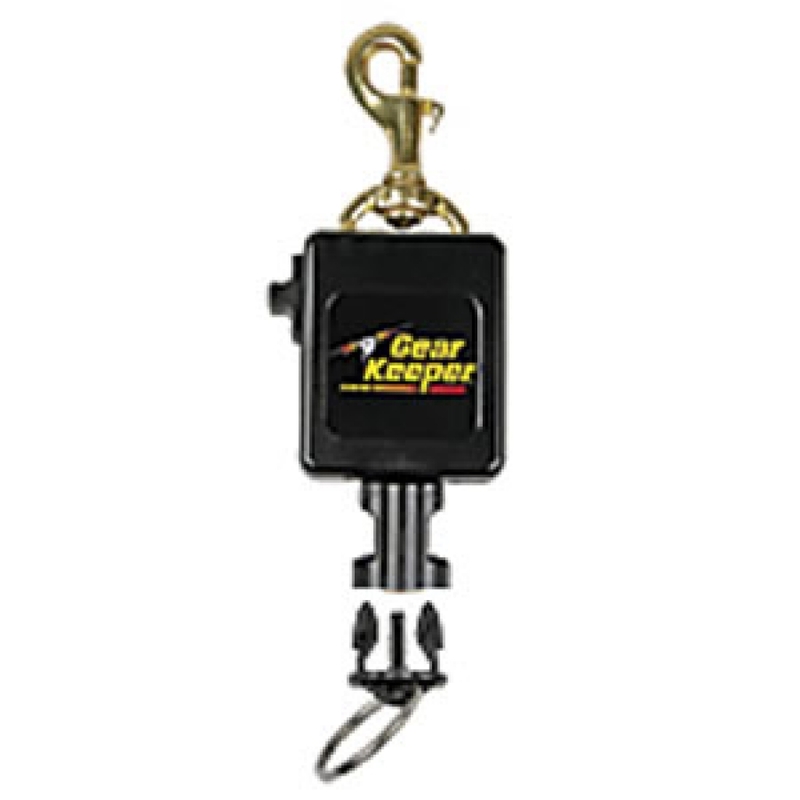 The ideal solution for those heavy SCUBA flashlights and Cameras – The locking mechanism allows the flashlight or camera to be secured when on a boat or land. 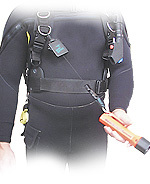 Unlock the unit in the water and the nominal retraction force Gear Keeper will retract the light or Camera (which is close to neutral buoyancy). You&apos;re streamlined, won&apos;t snag and it&apos;s right where you need it. When using your flashlight or Camera underwater, you won&apos;t notice any resistance or retraction force.